the new march issue of southern living magazine came this week... boasting the cover headline "our 10 easiest layer cakes". inside is a spread filled with lots of eye candy, and several great buttercream frosting recipes. i love the look of the cupcakes, and i'm looking for the perfect occasion to try some of the recipes. key lime frosting & blackberry frosting look so decadent and sophisticated. the recipes are nicely layed out on page 112-114 of the magazine. they suggest using their "basic vanilla cake batter" recipe as a base, and then try the variations of the buttercream frosting. i will share a couple that look the best. double the recipe for lots of frosting! 2. gradually add powdered sugar alternately with 3 tbsp. milk, 1 tbsp. at a time, beating at low speed until blended and smooth after each addition. beat in up to 2 tbsp. additional milk for desired consistency. blackberry buttercream frosting: omit milk. prepare recipe as directed in step 1, beating in 1/2 cup fresh blackberries and 1 tsp. lemon zest with butter. proceed with recipe as directed, beating in an additional 1 cup powdered sugar. makes about 2 1/2 cups. 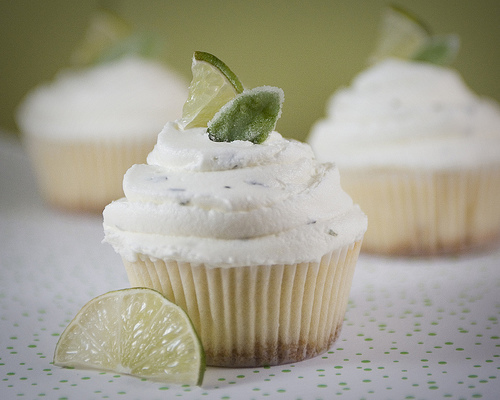 key lime buttercream frosting: reduce milk to 1 to 2 tbsp. prepare recipe as directed in step 1. beat in 1 1/2 tsp. key lime zest. proceed with recipe as directed in step 2, beating in 3 tbsp. key lime juice with milk.